Acne is one of the most common skin problems, affecting millions of people worldwide. While adults learn to deal with the nuisance, teenagers might be deeply affected as it can take a toll on their appearance and leave a lasting impact on their self-esteem. Acne, also known as acne vulgaris, is a condition in which the hair follicles get clogged with dirt, dead skin cells and various impurities. The clogged pores become a breeding ground for bacteria, which leads to whiteheads, blackheads or inflammation causing red bumps or pus-filled lumps. The problem can be caused by overactive sebaceous glands, a hormonal imbalance or fluctuation (such as during puberty or pregnancy), stress, a poor diet, side effects from medication, and sometimes dandruff or lack of good hygiene. 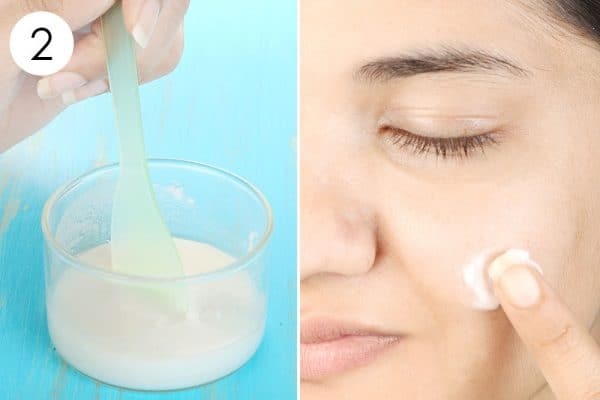 While there are many ways to get rid of acne at home, there is one ingredient that seems to be leading the game. Yes, it’s lemon! The components and properties found in lemons work in multiple ways to effectively get rid of this annoying and embarrassing condition. Lemons are a popular natural antibacterial agent that helps kill the bacteria causing the acne. The citric acid found in lemons helps get rid of excess oil accumulated on the skin. It further exfoliates and cleanses the skin. Lemons are rich in vitamin C that boosts collagen production in the skin and also aids the formation of new skin cells. Ascorbic acid, or vitamin C, also imparts mild astringent properties that help shrink the pores, thus reducing the frequency of acne breakouts. Lemons are rich in antioxidants that help fight free radicals and prevent skin damage. The citric acid also acts as a natural bleaching agent to help reduce dark spots as well as acne scars. While lemon juice alone is a strong acidic ingredient, combining it with some other healing ingredients can concoct a powerful anti-acne remedy. In fact, if combined with the right ingredients lemon can be used to get beautiful hair and spotless skin. 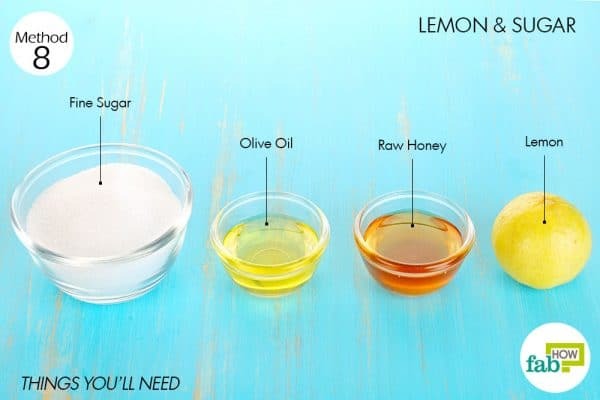 If you are considering incorporating lemon into your skin care regimen to fight acne, we have for you the 10 best remedies combining lemon with common household ingredients that can effectively get rid of acne without putting an extra burden on your pocketbook. 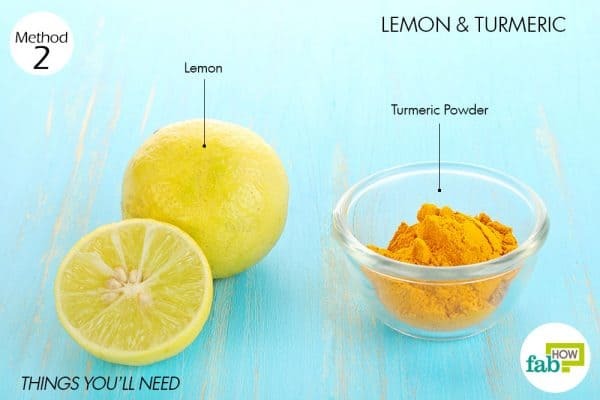 Read on to learn how to use lemon for acne. Note: Since lemon juice is a powerful ingredient, it is important to check your skin’s sensitivity toward it. To do this, drop 2 or 3 drops of lemon juice on your wrist and let it sit for 15 minutes. If it doesn’t cause any redness or itching, you can proceed with the remedies. If it doesn’t suit your skin, check out some other remedies to get rid of acne. Also, as lemon can make your skin photosensitive, do not go out in the sun for a few hours after using the remedies. If it’s unavoidable, apply a sunscreen and keep your skin covered. Even better, use the remedies after sundown. 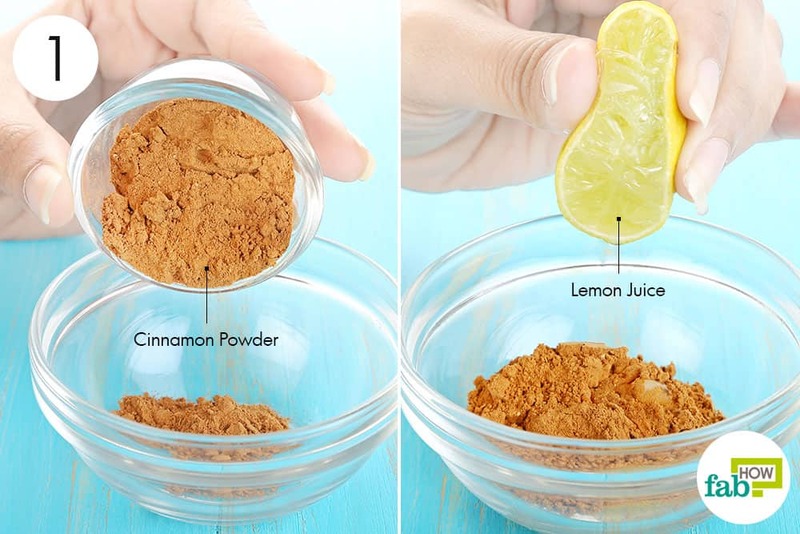 Both cinnamon and lemon are powerful antibacterial ingredients that can be used to spot treat acne. Cinnamon also works as a super mild abrasive to reveal a new layer of healthy skin. 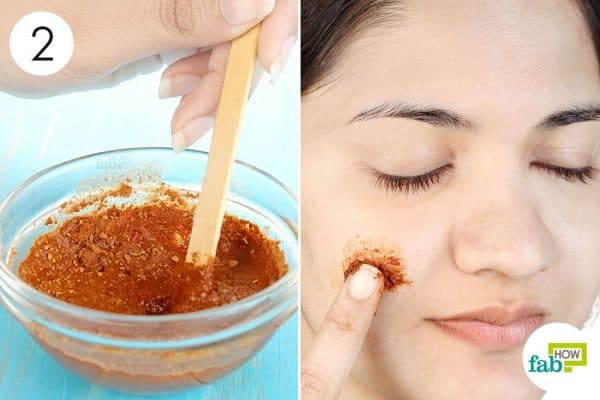 According to a 2017 study published in Scientia Pharmaceutica, cinnamon extract showed positive results in inhibiting the growth of acne-causing bacteria, propionibacterium acnes and staphylococcus epidermidis, to reduce breakouts. Note: The mix of cinnamon and lemon is likely to burn. Bear with the burning for the treatment to work. However, if the burning is unbearable, wash it off and try one of the other methods. Put 1 tablespoon of cinnamon powder in a mixing bowl. Add about 2 tablespoons of fresh lemon juice. Mix the two well to firm a smooth paste. Apply the paste on the acne spots. Leave it on for 15 to 20 minutes, then rinse it off with lukewarm water. Finish by applying a light moisturizer. Repeat 2 or 3 times a week to get rid of acne in 2 to 3 weeks. 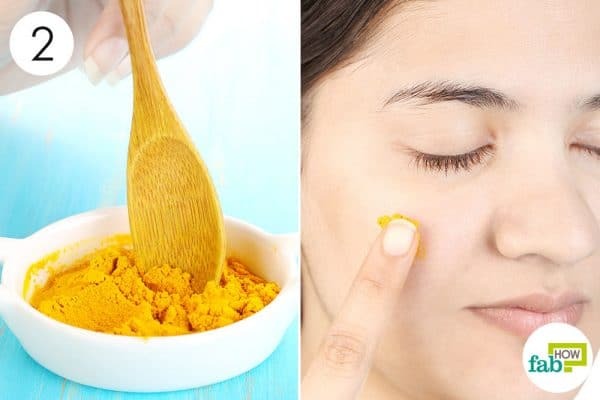 The compound curcumin present in turmeric is a powerful anti-inflammatory that can reduce the pain and inflammation in acne breakouts. Turmeric is also antibacterial and helps kill the P. acnes bacteria that cause breakouts. The antioxidants present in turmeric further promote faster healing of the skin. When combined with lemon, it helps reduce occurrences of acne, clear up acne spots and also lighten skin. 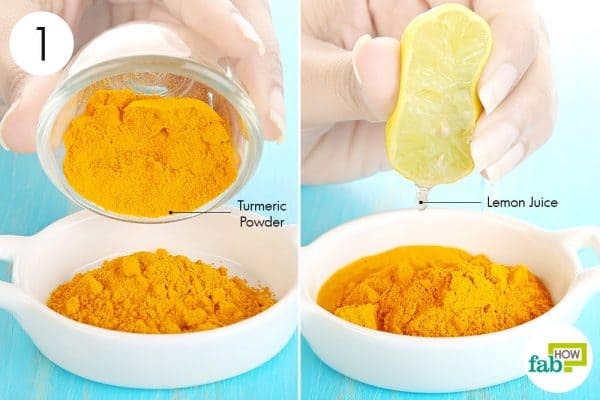 The only side effect of applying a turmeric face mask for acne is that it will leave your skin lightly yellow. However, that too will fade away after washing your face several times. this represent another incredibly simple way to use lemon for acne. Squeeze a lemon over it to add enough juice to make a thick paste. Mix the two ingredients thoroughly to form a thick paste. Apply the paste on the acne and leave it on for 10 to 15 minutes. Rinse it off and pat dry your skin. 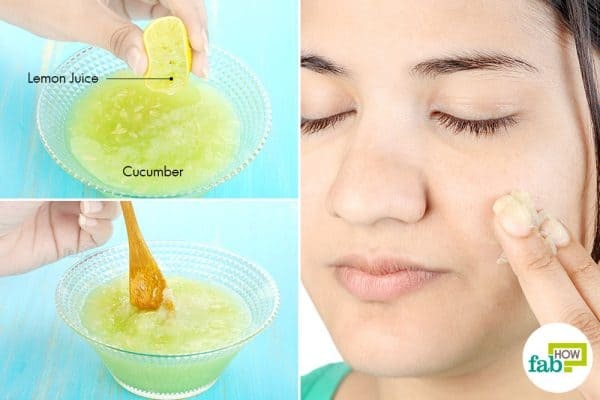 Use this remedy 2 or 3 times a week to get rid of acne and also lighten the spots in less than 1 month. A fizzy combination of baking soda and lemon can also work wondrously on your acne. The grainy texture of baking soda helps cleanse skin and unclog pores, while also working as an anti-inflammatory agent. 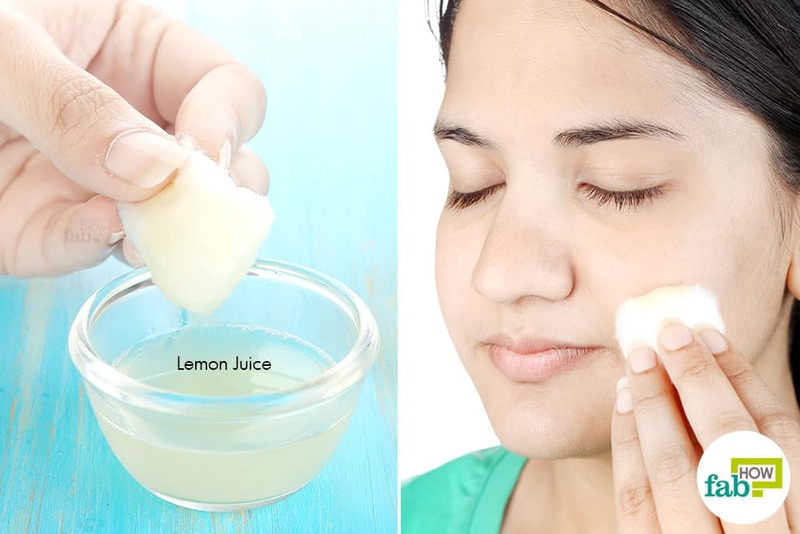 Lemon helps cut through the oiliness of the skin and kills the bacteria in the clogged pores. 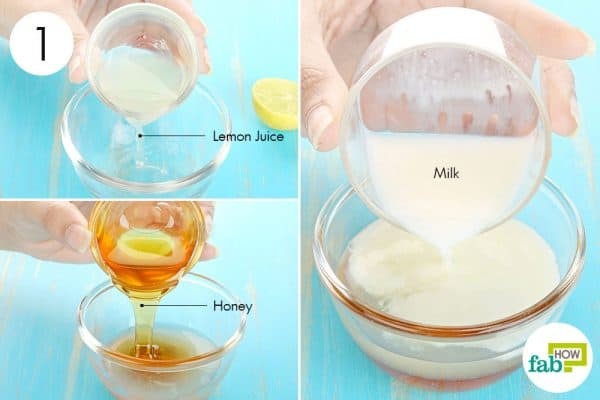 Add 1 tablespoon of fresh lemon juice to it. 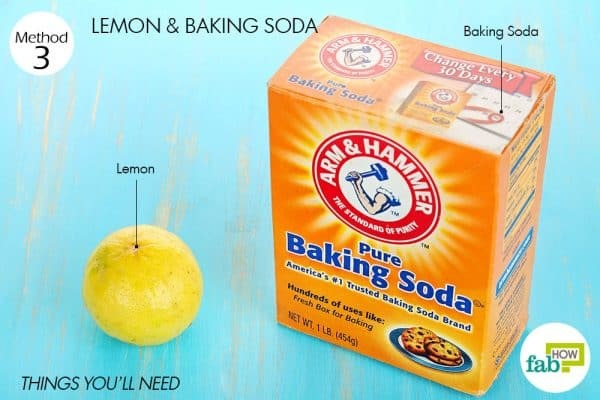 The baking soda will begin to fizz on contact with lemon juice. Continue to mix the two well to get a smooth paste. Let it sit for not more than 10 minutes. Massage it gently, then rinse it off with cool water. Use this combination 1 or 2 times weekly for 2 to 3 weeks to significantly lighten acne marks and prevent further breakouts. 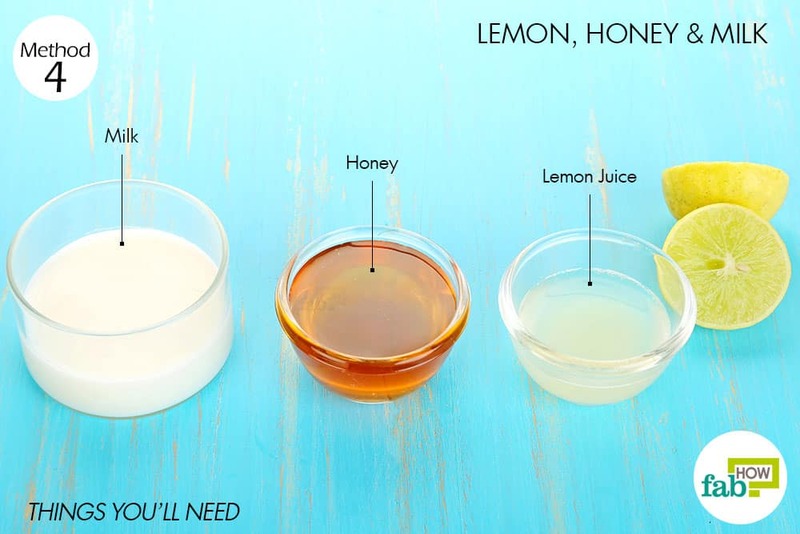 An age-old remedy for acne, this soothing and hydrating combo of honey, lemon and milk can treat acne in any skin type. While honey and lemon work as antibacterial agents, milk helps cleanse and soothe the skin. Honey helps draw excess moisture out of the clogged pores to dehydrate the bacteria and kill it effectively by releasing hydrogen peroxide. Honey also helps deeply hydrate the skin and reduce excess oil secretion to prevent future breakouts. Pour 1 tablespoon of fresh lemon juice into a mixing bowl. Add ¼ cup of milk. Soak a cotton ball in the solution and dab it over the acne spots. Use this remedy daily for 2 to 3 weeks to get rid of acne completely. 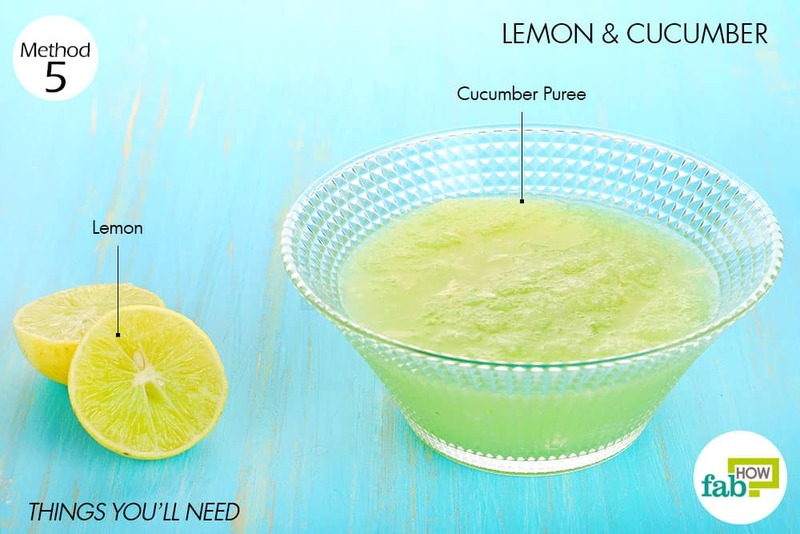 Lemon can also be combined with cucumber to heal acne naturally. Cucumbers are known for their high water content packed with nutrients that rehydrate and replenish the skin. They also have mild astringent and cooling qualities that soothe acne-irritated skin. 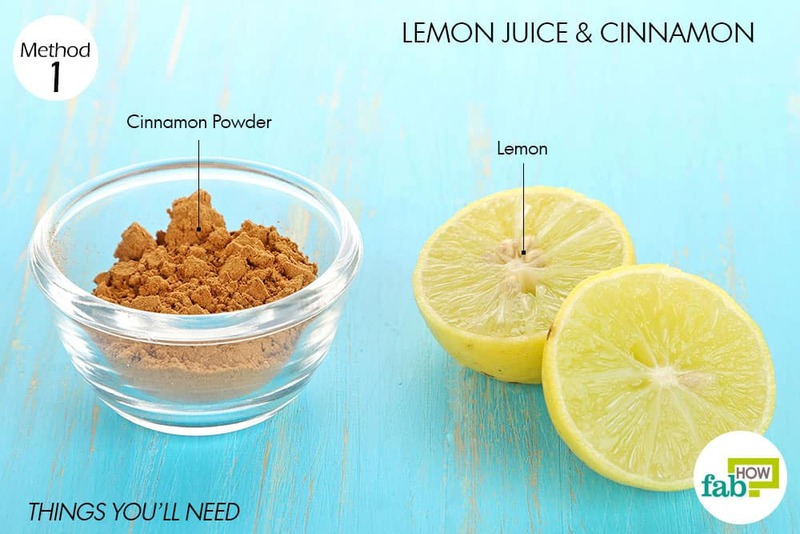 Along with lemon, they also help get rid of excess oil from the skin. Add the juice of 1 lemon to 1 pureed cucumber. Smear a thick layer of the mix on your face. 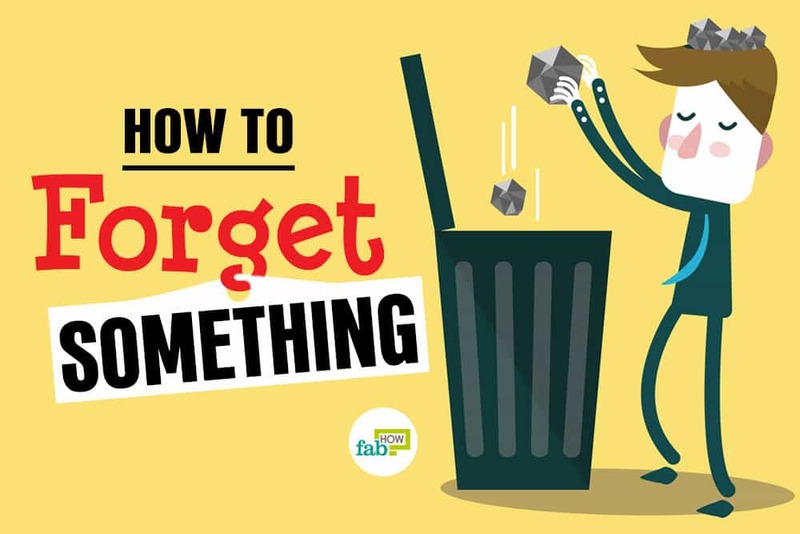 Repeat daily until you get satisfactory results. Yogurt is another powerful antibacterial that can treat acne. It is loaded with healthy bacteria that can curb bacterial growth both internally and externally. Yogurt also contains lactic acid that works as a skin cleanser along with lemon. 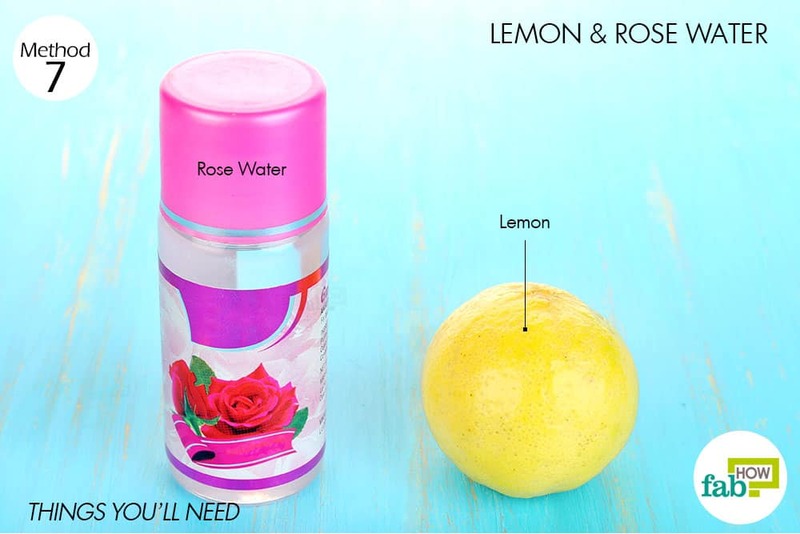 Furthermore, it counters the harshness of lemon to give your irritated skin a hydrating boost. 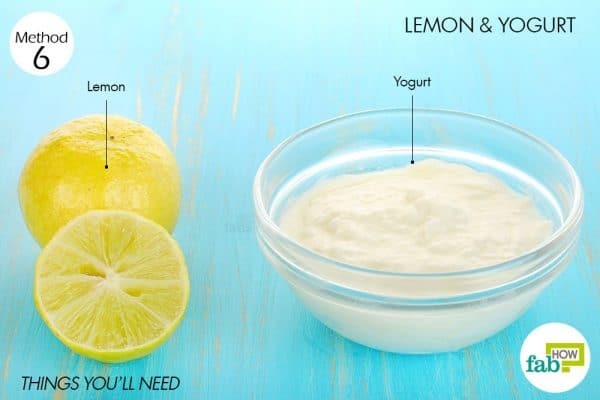 Squeeze the juice from half of a lemon into ½ cup of unflavored yogurt. Whisk it well to form a smooth blend. Apply the blend on the acne and massage lightly in circular motions. Let it sit for 10 minutes, then rinse it off with cool water. Pat dry and moisturize your skin. 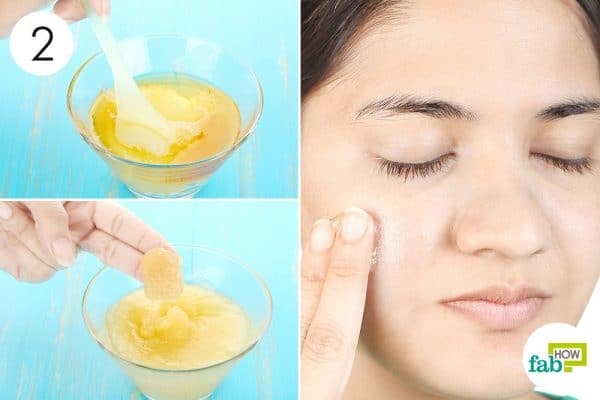 Apply this mask 2 or 3 times a week to get rid of acne in 1 month. Rose water works as an anti-inflammatory agent to soothe skin irritated with acne. It also has antibacterial properties that work against acne-causing bacteria. When combined with lemon, it helps dilute the acidity of the lemon juice, making it suitable for application even for sensitive skin. Put 1 tablespoon of rose water in a small bowl. Add an equal amount of fresh lemon juice. 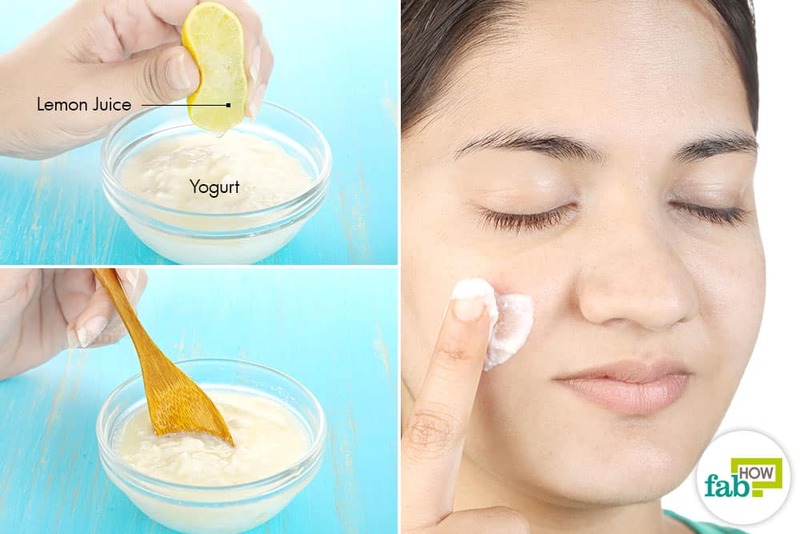 Dab it over the acne-affected skin. Let the liquid sit on your skin for 15 to 20 minutes. Rinse it off with cool water and pat dry your skin. Repeat once daily until you get the desired results. If you want to go all-natural, you can learn how to make your own DIY rose water at home here. 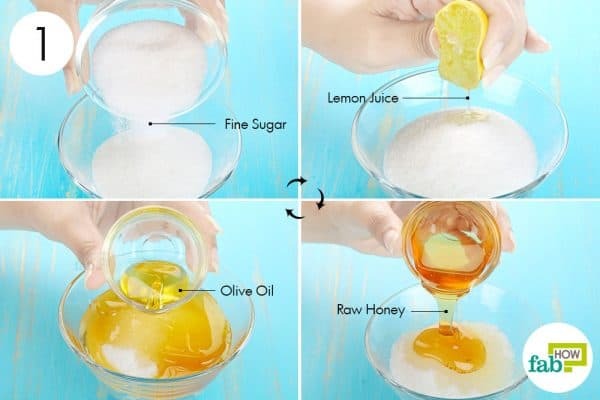 Lemon and sugar can form a hydrating and exfoliating scrub that effectively gets rid of acne. Sugar also helps dehydrate the bacteria via osmosis. 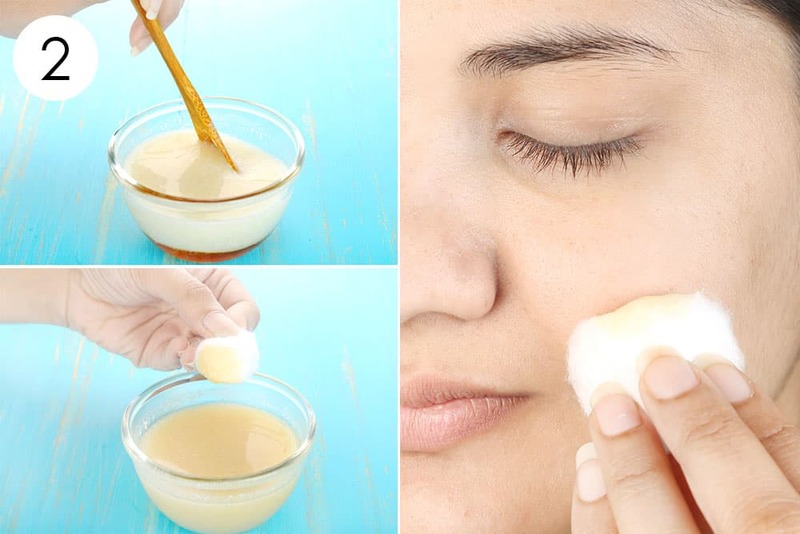 This remedy also uses honey and olive oil that work as antibacterial agents and also help nourish the skin, leaving it soft and supple. You can also use this recipe to make DIY homemade scrubs for softer hands. Put ½ cup of fine sugar in a mixing bowl. 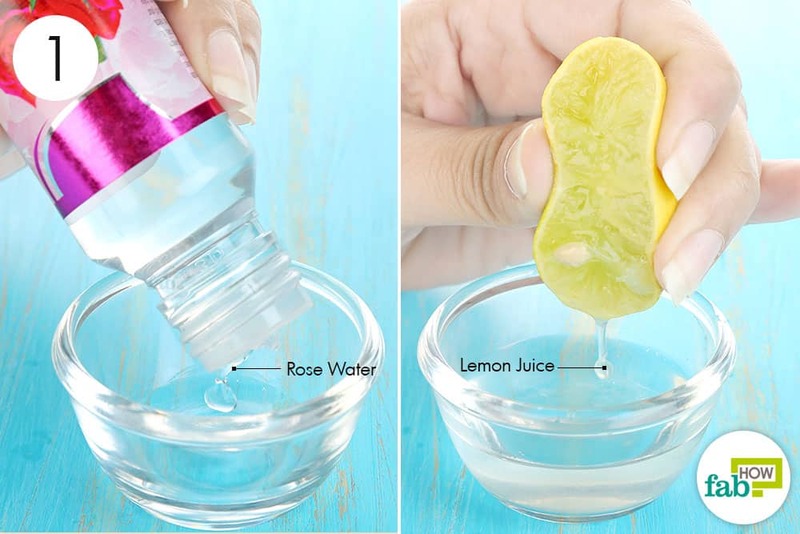 Squeeze in the juice from ½ lemon. Add 1 tablespoon of olive oil as well. 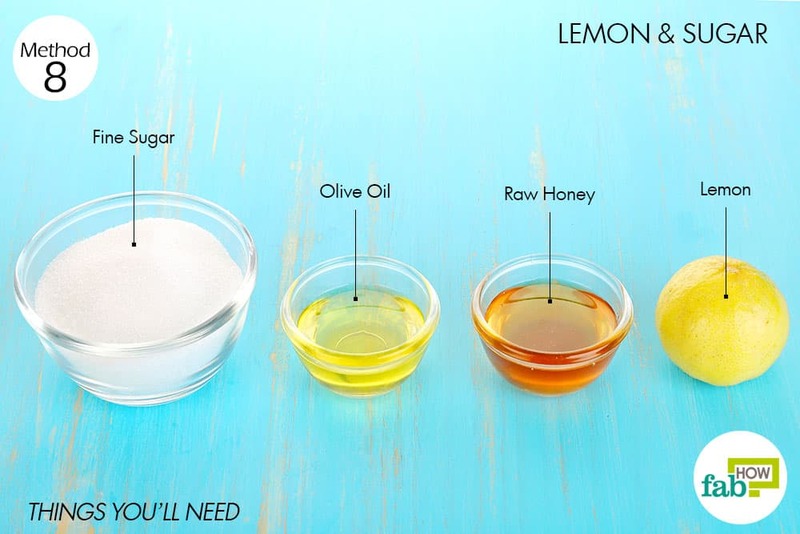 Blend the ingredients thoroughly to create your lemon and sugar scrub. Use the scrub to gently exfoliate your skin, rubbing it in circular motions for 2 minutes. Leave it on for 10 minutes, then rinse it off with water. Use this nourishing and gentle scrub twice weekly to reduce the occurrence of acne and to get healthy skin. Apart from its many skin benefits, aloe vera can also be used to get rid of acne breakouts. The nutrients present in aloe vera help soothe and rehydrate the skin. It also promotes formation of new skin cells to reduce acne scars. Furthermore, it tones down the harsh effects of lemon on the skin and gives you clear, glowing and spotless skin. 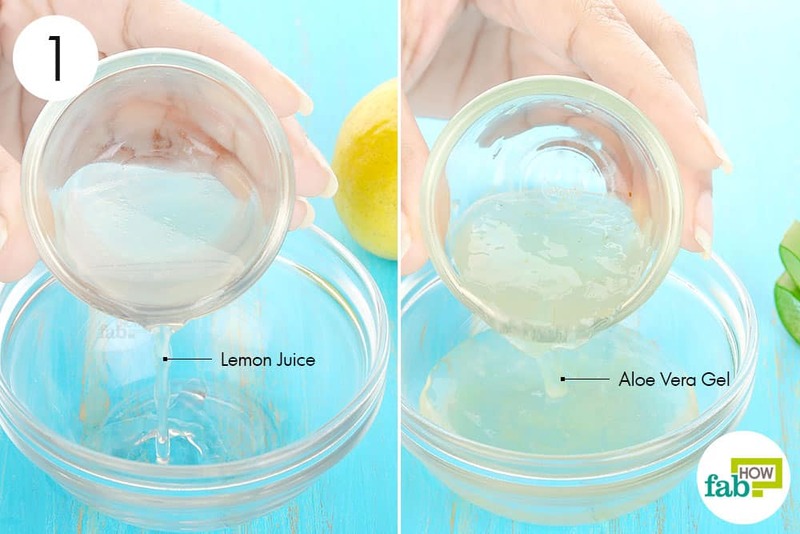 Pour 1 tablespoon each of fresh lemon juice and aloe vera gel into a mixing bowl. If needed, read instructions on how to extract aloe vera gel. Blend the two ingredients well. 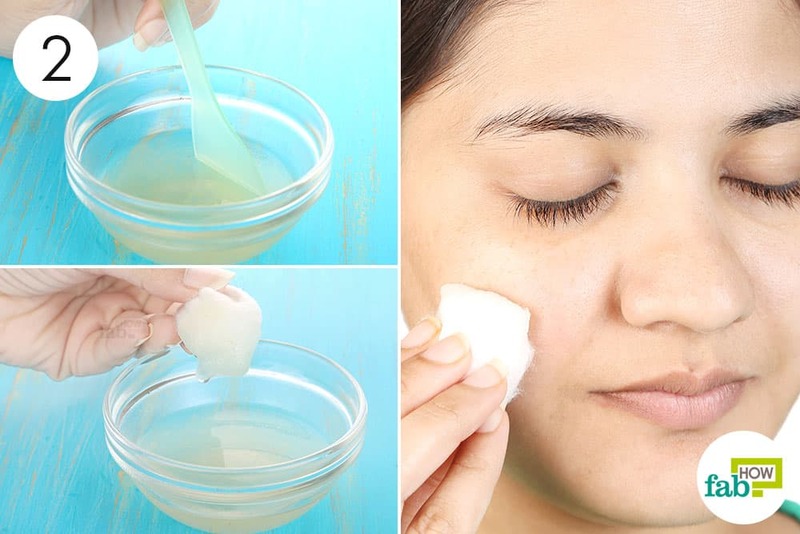 Soak a cotton ball in the solution and dab it on the breakout spots. Let it sit for 15 minutes, then rinse it off with cool water. Pat dry and apply a light moisturizer on your skin. Repeat once daily until the breakout is cleared up and the scars fade away. 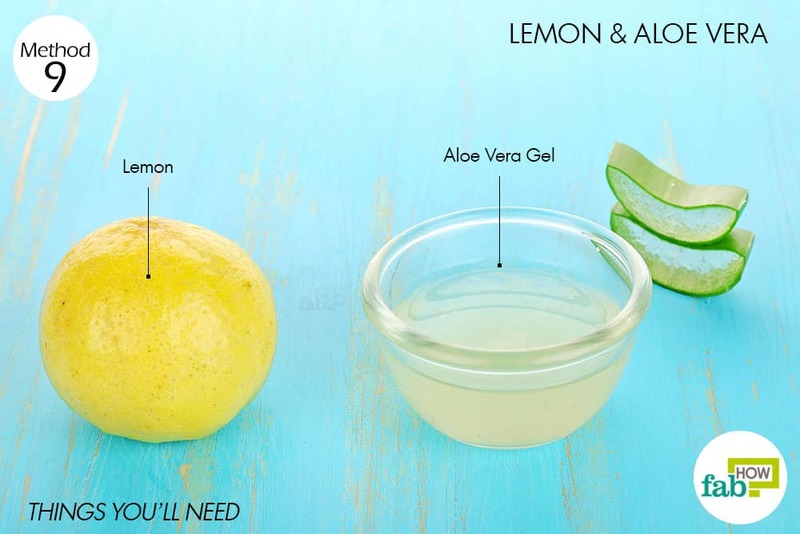 Unless your skin is super-sensitive, the simplest way to use lemon for acne is by applying lemon juice directly on acne-affected skin. However, make sure to moisturize your skin afterwards to prevent dryness. 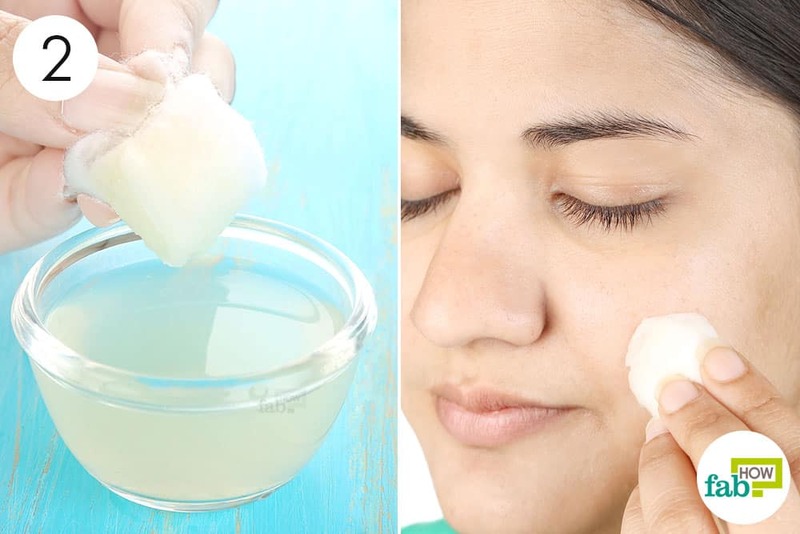 Lightly press the soaked cotton ball against the acne spots. 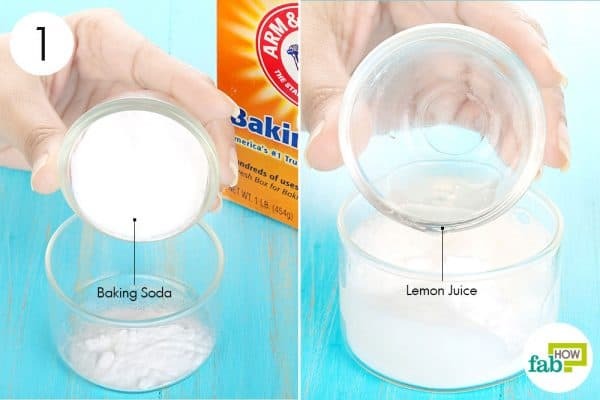 Remove the cotton and let the lemon juice air-dry. Do not forget to use a moisturizer after washing your face. Repeat once daily until you get rid of the acne completely. If you suffer from frequent acne breakouts, be sure not to touch your face with dirty hands. It may be contributing to the problem. Do not squeeze the zits or pick at your skin, as this can lead to acne scars. After using any of the above remedies, you can use olive oil to moisturize your skin. The antioxidants and vitamin E present in the oil will support healing and healthy skin. Always use a mild soap to wash your face before using any remedy. A very strong-smelling or harsh face wash will only contribute to the dryness and make the acne worse. If you suffer from severe acne breakouts on a regular basis, you can also try out these tea tree oil remedies for acne. Our team is delighted to help you. You can try our remedies listed here for dark spots, https://www.fabhow.com/get-rid-dark-spots-face-with-easy-home-remedies.html.